Yesterday my gf destroyed our cheap old blender by accidentally leaving a metal spoon in the glass pitcher then turning it on. It shattered instantly. Quite spectacularly I’m told, but I wasn’t at home at the time. 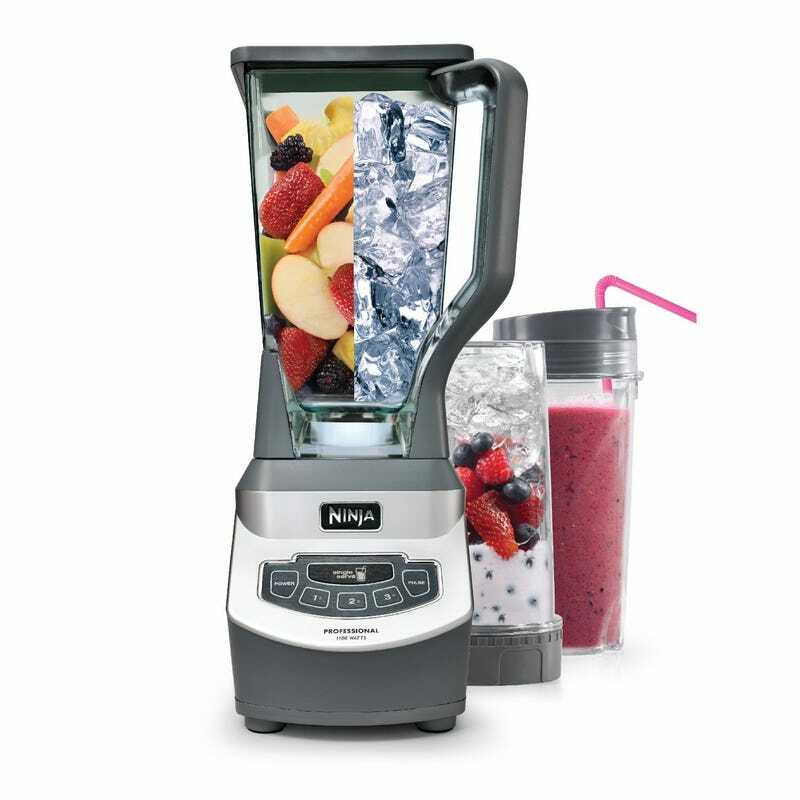 While I was ready to buy a KitchenAid Diamond, instead I bought a Ninja Professional with smoothie cups. I felt bad for my gf after she destroyed the old blender so I wanted to get a replacement ASAP, but no stores around me had the KitchenAid Diamond in stock. My local Target had the Ninja + smoothie cups bundle in stock, and Target price matches Amazon. 90% of blender use in my house is my gf making smoothies. So now we can keep the big pitcher stashed away most of the time while she rolls with the smoothie cups. For my occasional heavier-duty stuff, this is a heavier-duty Ninja than the one in the video.